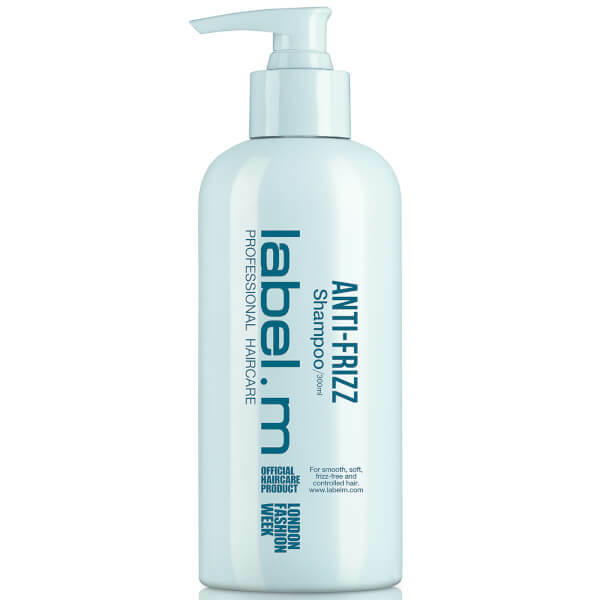 Tame unruly locks with the label.m Anti-Frizz Shampoo; a lightweight, deeply nourishing formula that works to refresh, hydrate and protect all hair types. Fortified with a humidity-resistant Mediterranean Fruit Complex of Green Mandarin and Juniper Berries, the luxurious shampoo effectively cleanses hair, whilst combating frizz and flyaways for a sleek, salon-worthy finish. 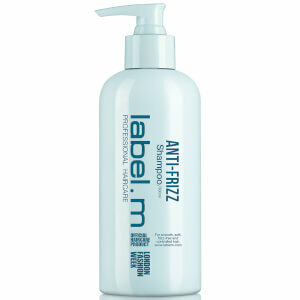 Tresses feel smooth, strong and silky soft from root to tip. Apply to wet hair, massage gently and rinse. Aqua/ Water, Sodium Coceth Sulfate, Cocamidopropyl Betaine, Sodium Lauroyl Sarcosinate, Parfum/ Fragrance, Betaine, Sodium Methyl Cocoyl Taurate, Sodium Cocoamphoacetate, Lauryl Glucoside, Guar Hydroxypropyltrimonium Chloride, Hydroxypropyltrimonium Hydrolyzed Rice Protein, Citrus Nobilis Fruit Extract/ Mandarin Orange Fruit Extract, Plukenetia Volubilis Seed Oil, Olea Europaea Fruit Oil/ Olive Fruit Oil, Myrtus Communis Leaf Extract, Olea Europaea Leaf Extract/ Olive Leaf Extract, Juniperus Communis Fruit Extract, C12-13 Alkyl Lactate, Lauryl Lactate, Lactic Acid, Bht, Propylene Glycol, Phenoxyethanol, Ethylhexylglycerin, Hydroxyacetophenone, Leuconostoc/Radish Root Ferment Filtrate, Benzyl Salicylate, Hexyl Cinnamal, Alpha-Isomethyl Ionone, Hydroxycitronellal, Linalool, Citronellol.